This all brick meticulously maintained home offers a Grand 2-Story Foyer with a beautiful a staircase to 2nd level. First floor has Formal Rooms with detailed architectural millwork, 9′ ceilings and wood floors thru-out the entire first floor! Windows allow lots of lighting! First Floor Owners En-Suite with His/Her Walk-in Closets, a vaulted Great Room with skylights, a Gas Log F/P, and a 1/2 bath! Another room used as an Office. A large Chef’s Kitchen has Granite Countertops, Gas Range Top with Full oven below, Built-in Wall Microwave Oven and additional lower built-in (3 Ovens total)! A Butler’s Pantry with Wine Rack, S/S Sink for entertaining guest! A Sun Room has wall to ceiling glass that you can look out onto a beautifully landscaped partially fenced rear yard. The rear staircase also takes you to the 2nd level to 4 bdrms, 2 baths and a loft. Amenities include Central Vac, gas grill connection, paver patio, landscape lighting walkway to Gazebo, and an over-sized 3-Car Garage with Work Space, Paved Drive, and Irrigation. HI-Speed Internet in a Rural Area, 1 Acre Corner Lot in an upscale neighborhood has your name on it! Call for showing today! Please, send me more information on this property: MLS# 1838070 – $649,250 – 10319 Scots Landing Road, Mechanicsville, VA 23116. 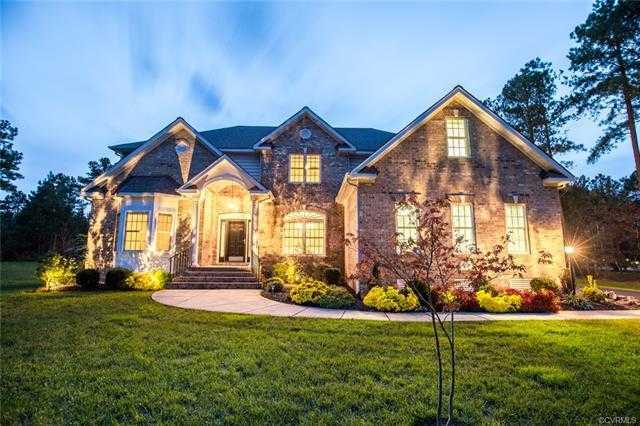 I would like to schedule a showing appointment for this property: MLS# 1838070 – $649,250 – 10319 Scots Landing Road, Mechanicsville, VA 23116.